Sydney - Australia unveiled plans Wednesday to hold terror suspects for 14 days without charge and beef up its national database to include biometric data from driver's licences. New South Wales already permits detention for 14 days, but other states and territories only allow a week or less, and the federal government wants to standardise the law. "We need nationally consistent pre-charge detention laws so that those who seek to do us harm can be held to account no matter where they are," Prime Minister Malcolm Turnbull said. Australia's national terror alert level was raised in September 2014 amid concerns over attacks by individuals inspired by organisations such as the Islamic State group. 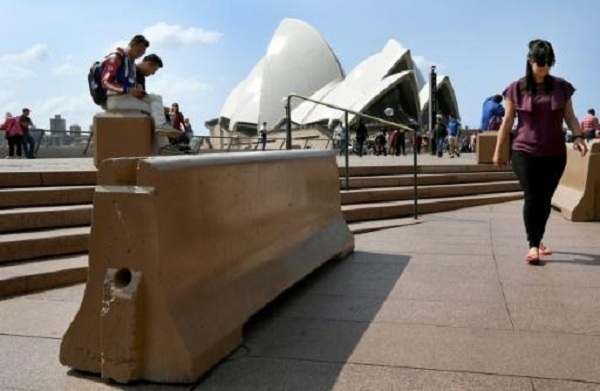 Authorities say 13 attacks have been prevented in the past few years, but several attacks taken place, including a cafe siege in Sydney in 2014 where two hostages were killed. The latest thwarted attack allegedly involved an IS-directed plot to bring down a plane using poisonous gas or a crude bomb disguised as a meat mincer. Turnbull is pushing for driver's licence photos to be added to a national database that already includes passport pictures and immigration data so police can identify suspected terrorists more quickly. He also wants to make it an offence to possess "instructional" material that could be used to carry out terror attacks. Turnbull intends to put the proposals to state and territory leaders at a special national security meeting in Canberra on Thursday. On Wednesday, NSW Premier Gladys Berejiklian outlined a plan to give the Supreme Court powers to keep prisoners in jail once their sentence is over if they are deemed likely to commit terrorist offences when released. Australia unveiled plans Wednesday to hold terror suspects for 14 days without charge and beef up its national database to include biometric data from driver's licences.